Wildlife viewing platforms at Brooks Camp are accessible, but assistance may be necessary for anyone with limited mobility. Katmai is, in many ways, a wilderness park. Accessible facilities are concentrated at Brooks Camp. Elsewhere, accessible facilities and trails do not exist. Most of the public buildings in Brooks Camp, including the restroom facilities, are ADA accessible, but assistance may be necessary to navigate the trails and access the wildlife viewing platforms. Entering and existing float planes can be challenging for people with limited mobility. The bear viewing platforms are accessed along elevated walkways with ramps. All bear viewing platforms are accessible. These platforms are located .25 mile (.4 km) to 1.2 miles (1.9 km) from the Brooks Camp Visitor Center. The trails to the Brooks Falls and Riffles platforms are accessible. However, the narrow paths at Brooks Camp are rough and can become very muddy. Wheelchairs and personal services are not available for assisting visitors around the Brooks Camp area. 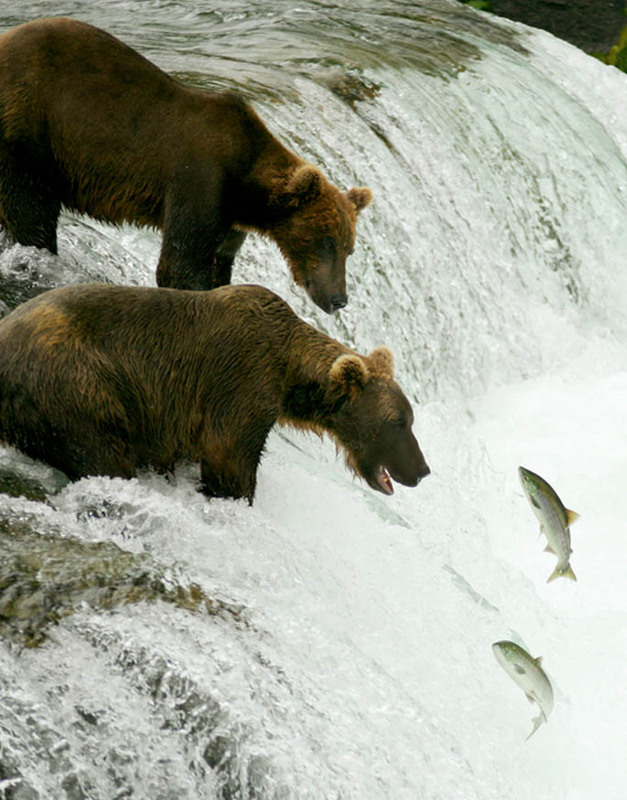 Close encounters with brown bears are possible anywhere in Katmai, especially at Brooks Camp. Bears frequently use the same trails and roads as people. Please be aware that you may need to move off of the trail and enter the woods to allow bears to pass.